Want a park model cabin that really feels rustic? You can’t go wrong with an idea like this Montana model, measuring 12 by 33 feet (3.7 by 10 meters). It has ponderosa pine siding outside and knotted, natural cedar paneling inside. Pinnacle Park Homes, located in Ochlocknee, Georgia, prides itself on making its homes 100 percent custom to whatever the buyer desires. 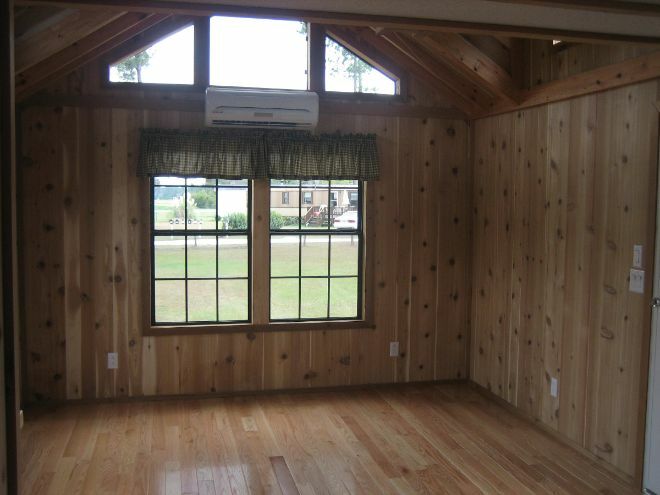 For the floor plan, on one side is a living area with a ceiling fan for greater air circulation. Next to that is a kitchen, which leads into a bathroom. The bathroom has its own door, rather than being accessed through the bedroom or living area directly. The bedroom space also has a ceiling fan. Stairs off the kitchen space lead up to a lofted area. The living area boasts a small entertainment center. 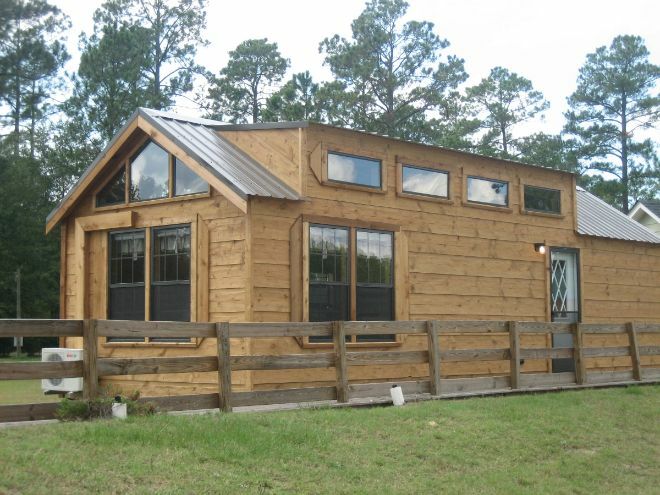 In addition to the ponderosa pine siding, the exterior has a bronze metal roof. The trapezoid windows offer a unique style to this model. Inside, the park model has tongue-and-groove oak flooring. The home also has turbo heat and an AC unit. 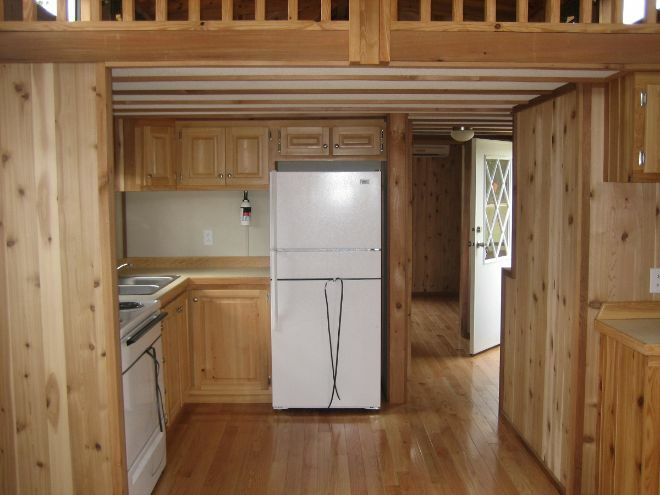 The kitchen has a full-sized refrigerator with an ice-maker. There is also a microwave range hood. Cypress cabinets offer plenty of storage. 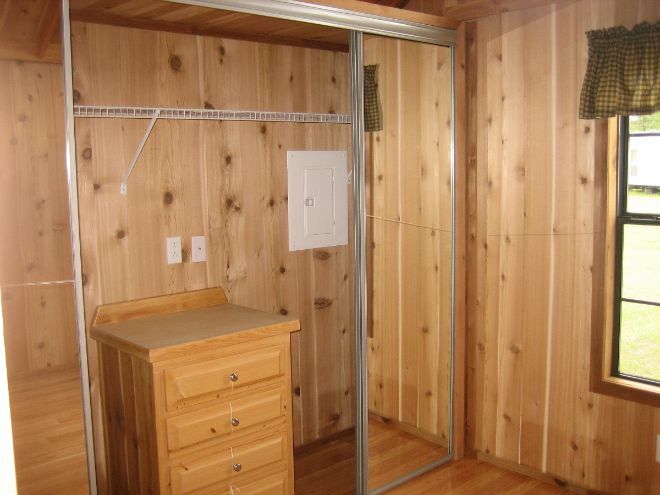 In the bedroom area, there is a full-length mirror closet, making the space feel twice as large. To conserve space, there is a TV dresser inside the closet. 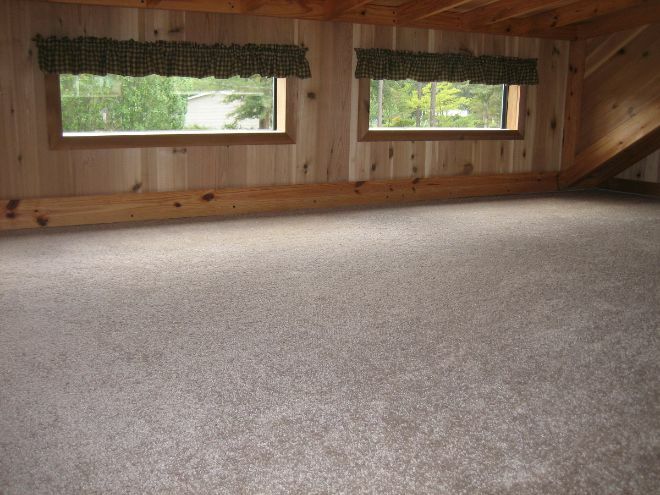 The loft area has plenty of natural light pouring in and comes carpeted for comfy play or sleep. The dormer design allows for greater usable space in the loft area. What do you think of this lovely park model? SHARE it on Facebook if you enjoyed this gallery!